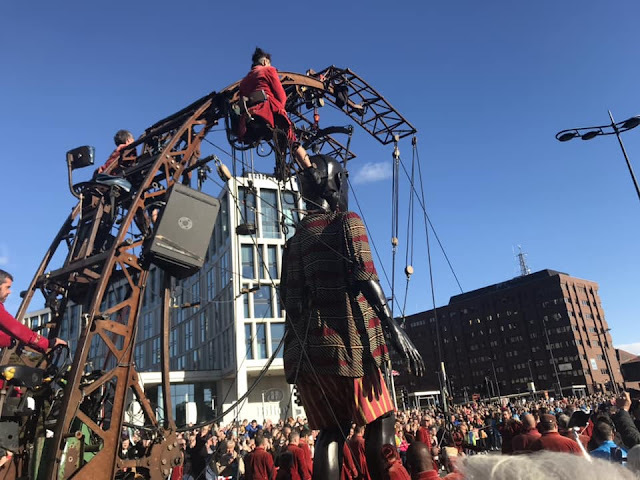 This week marks fourteen years since I moved away from the city I grew up in and yesterday I returned to Liverpool with my youngest to watch the incredible Liverpool's Dream. This final visit from Royal de Luxe marks ten years since Liverpool celebrated being European Capital of Culture and brings the story of Liverpool's Dream to the streets of the city centre. 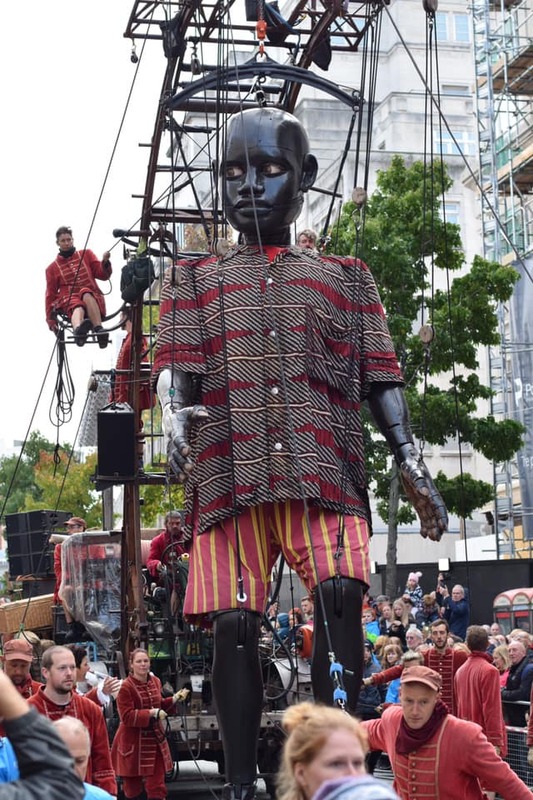 Not having been able to make the last two visits from the Giants, I was pleased to find that although our boys were away at Scout camp, my daughter and I were free to hop over to Liverpool on the train, meet up with my Mum (aka Nanna) and experience the Spectacular for ourselves. 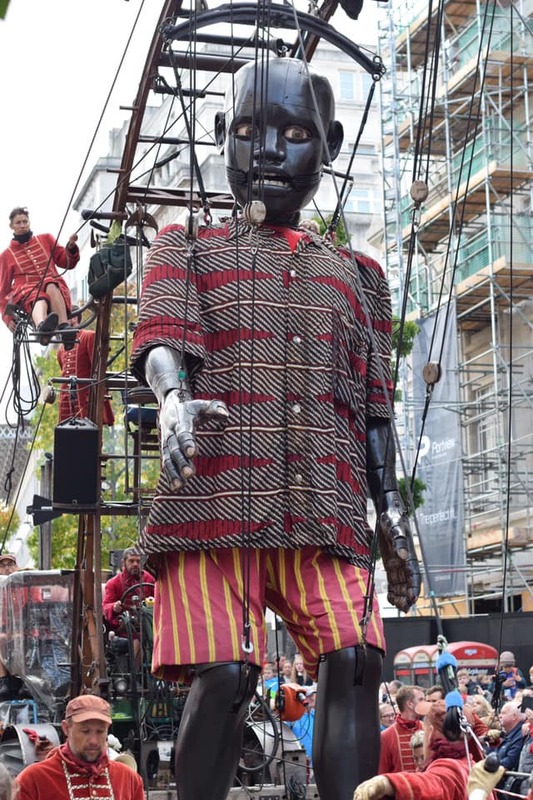 Royal de Luxe started in 1979 in Southern France, where founder Jean-Luc Courcoult staged his first street theatre production, Cape Horn. Over the last almost 40 years, Royal De Luxe have grown to Giant proportions, and have travelled the world with it's incredible characters including the Giant, Little Girl Giant, Little Boy Giant, Grandmother Giant Sultan's Elephant, Giant Giraffe and her baby, Rhinoceros and of course Xolo the Mexican god-dog. 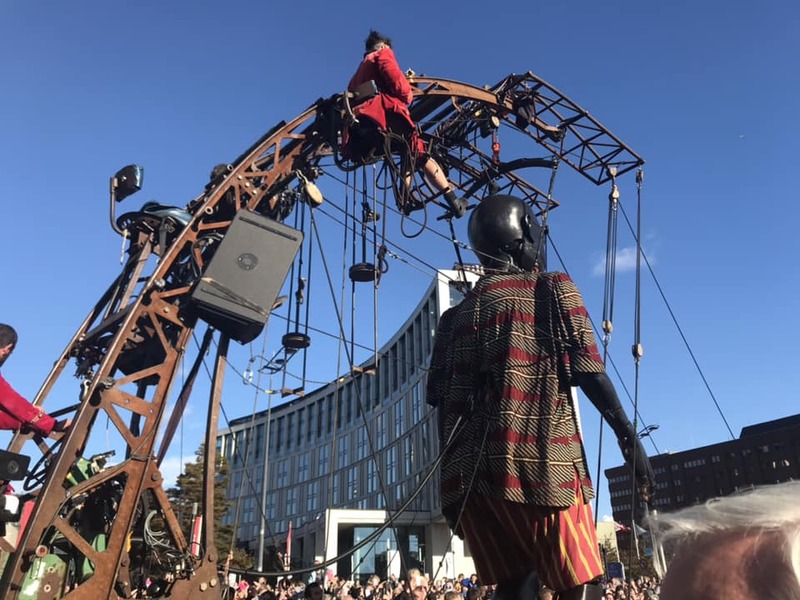 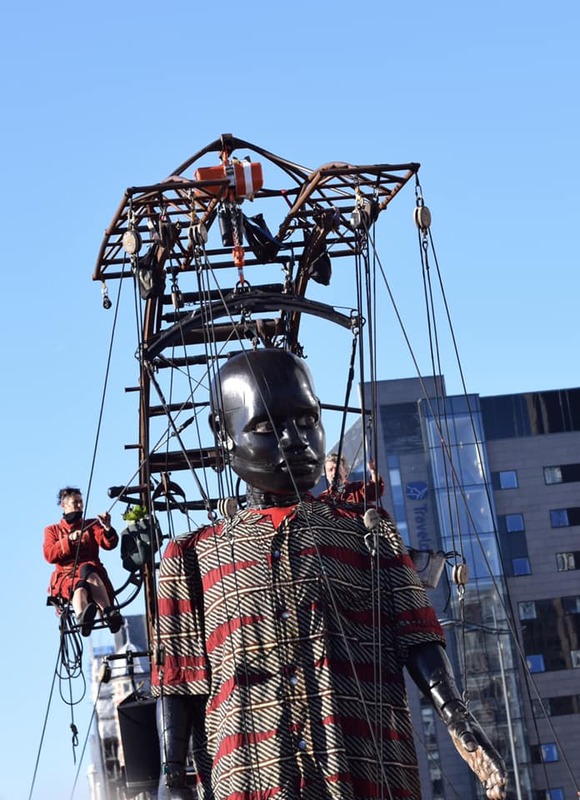 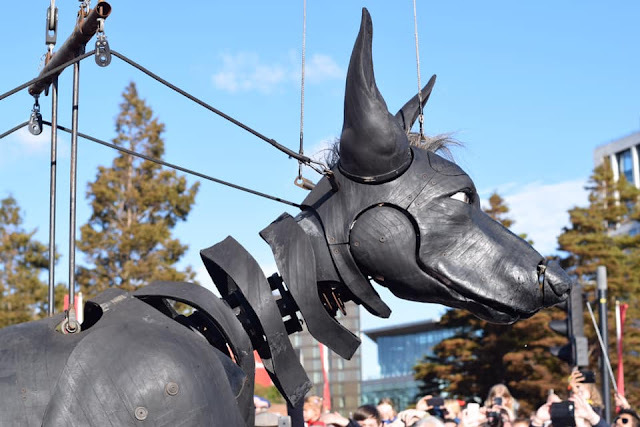 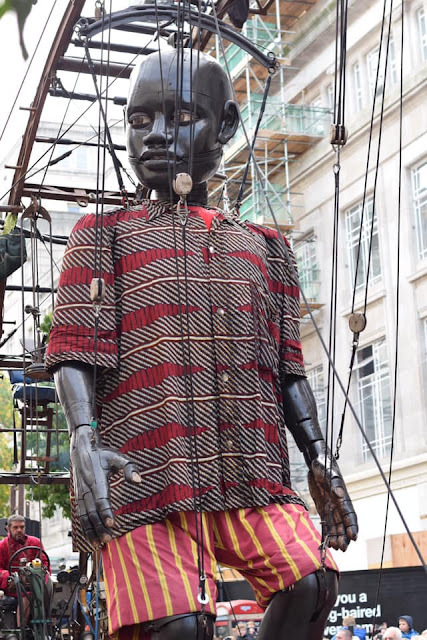 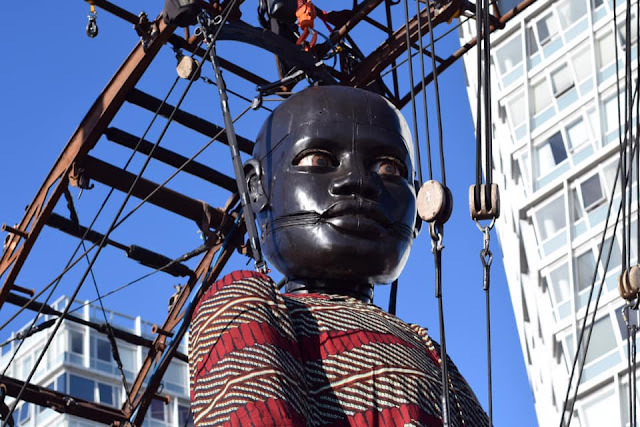 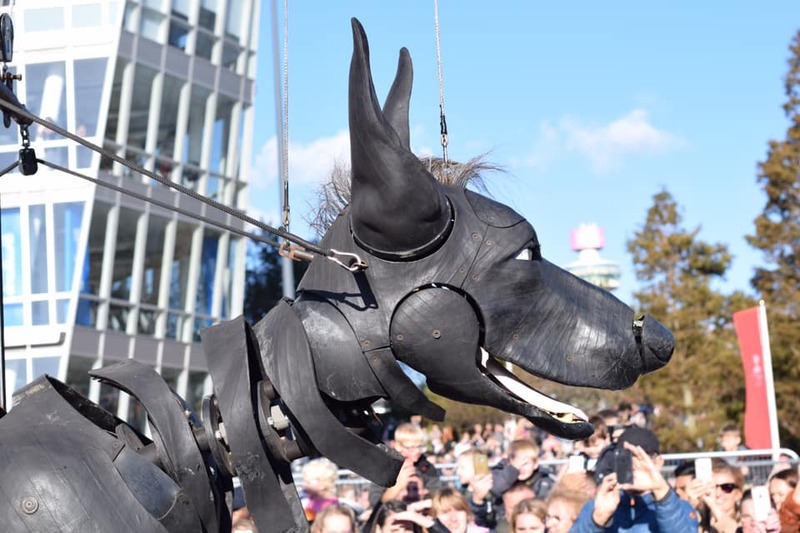 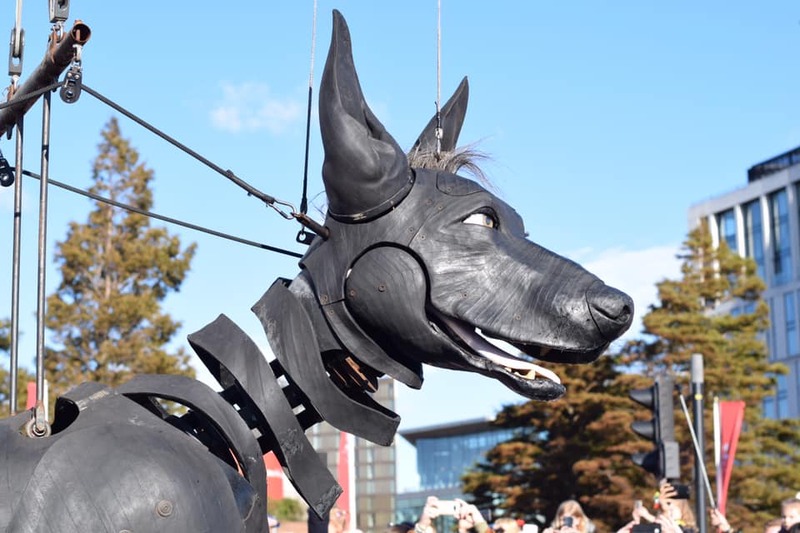 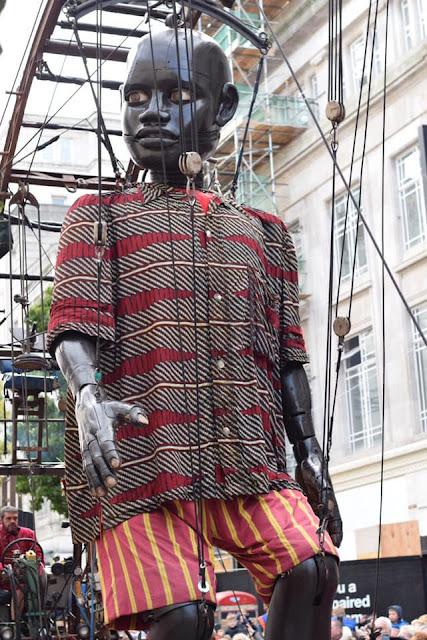 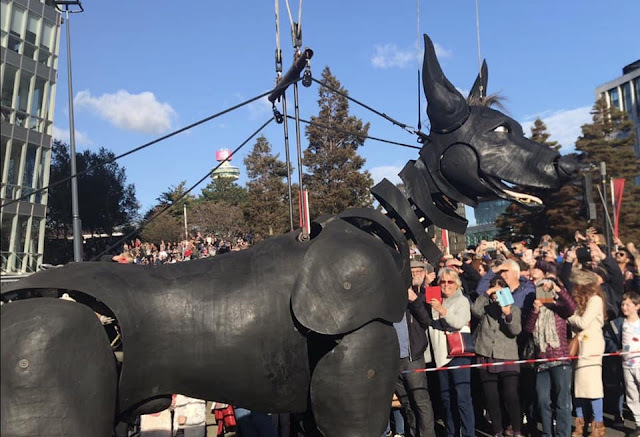 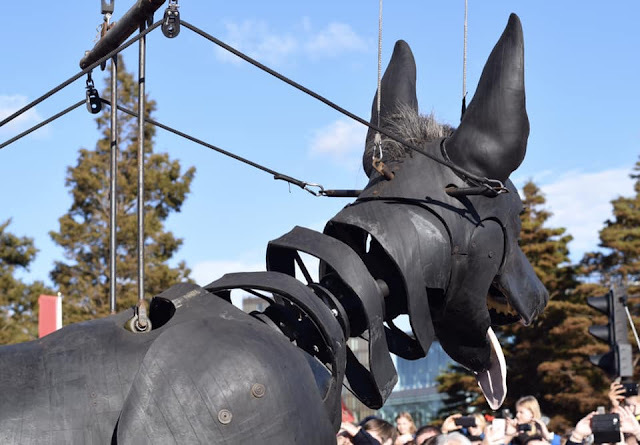 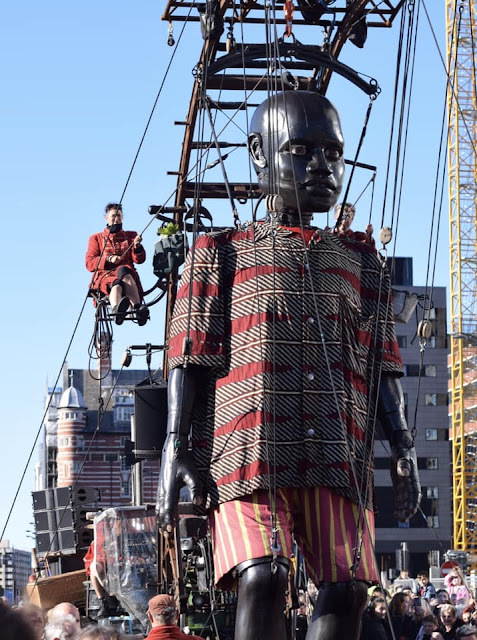 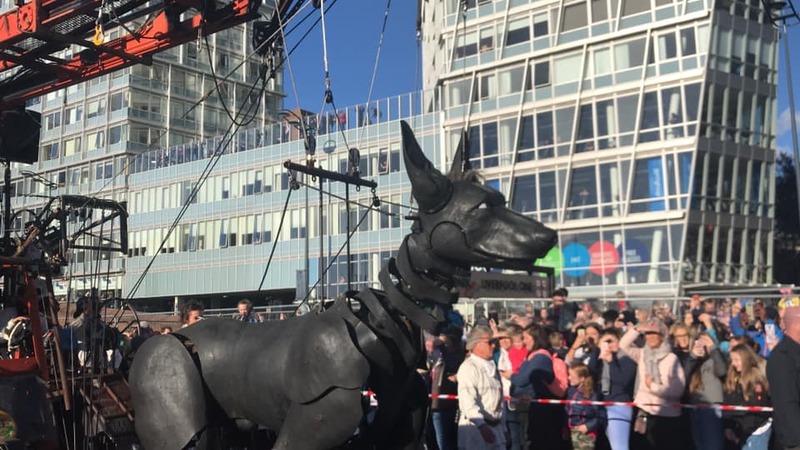 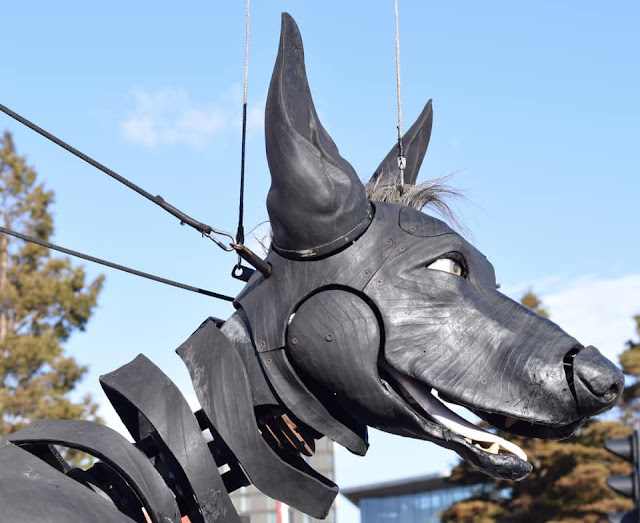 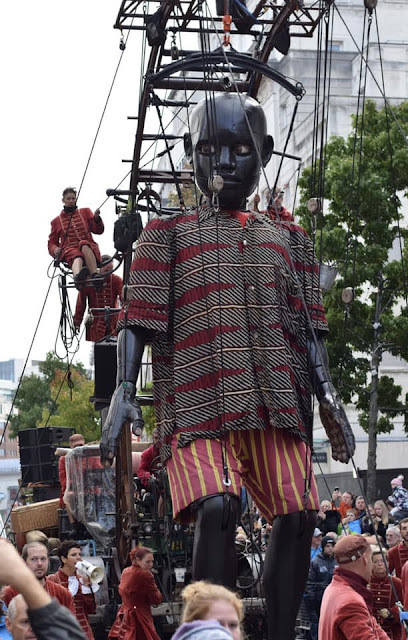 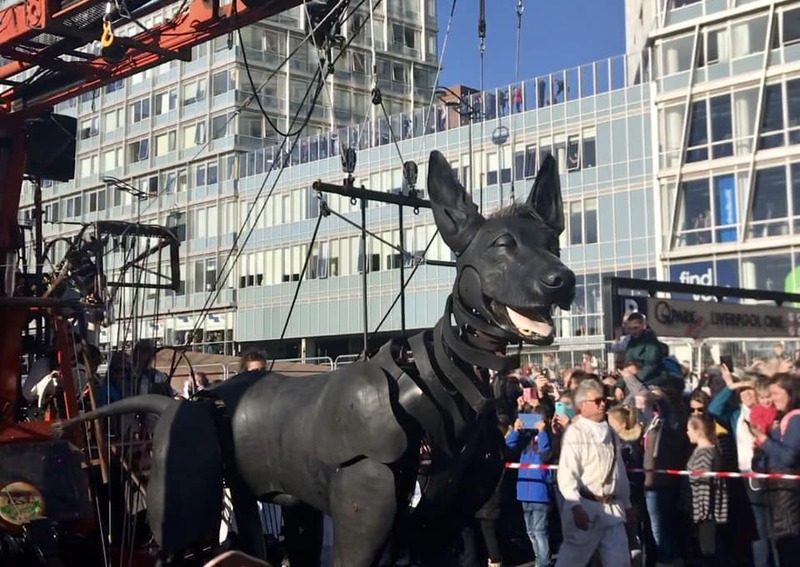 This visit to Liverpool included The Giant, Little Boy Giant and the lovable Xolo and marks a final farewell to Liverpool as Royal de Luxe return the Giants to their home in France. The task of bringing the giants to life is one of massive proportions and thousands of people are involved. 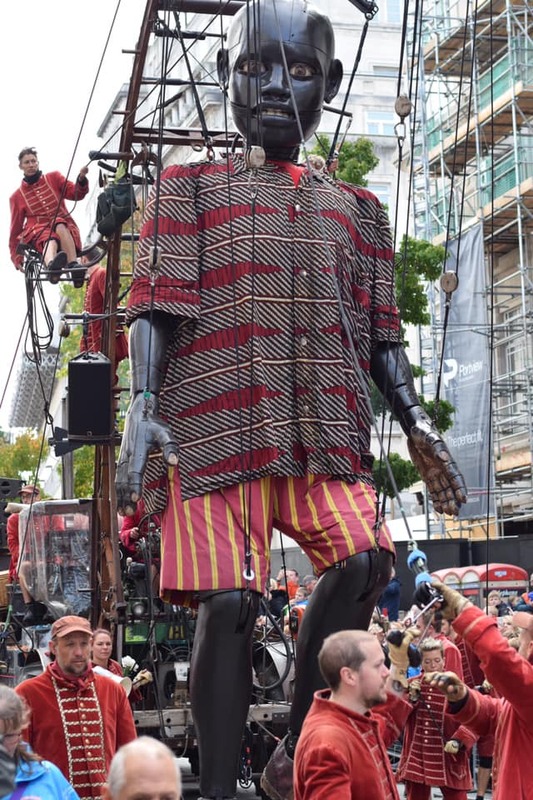 The red velvet clad operators of the Giant's are dubbed Liilliputians and each Giant takes up to 44 of them to operate. 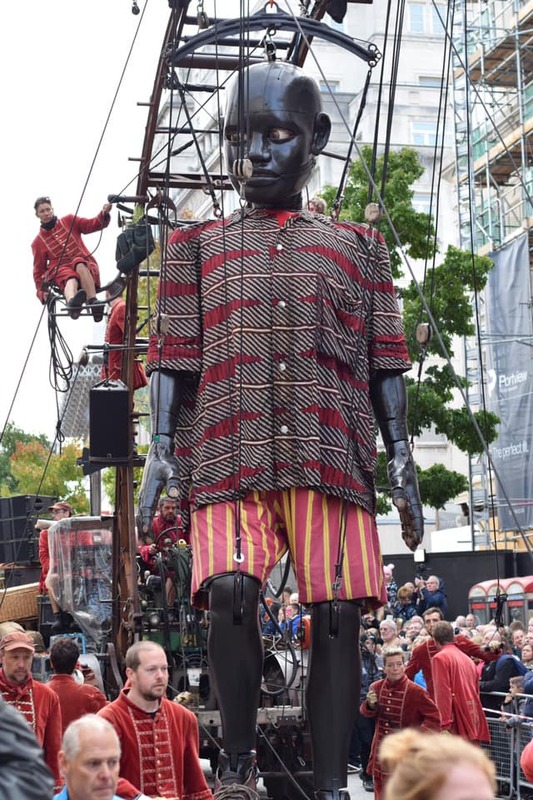 As expected the crowds in Liverpool were overwhelming so we had to be smart and plan ahead where to stand on the routes and where we would see the Giants. 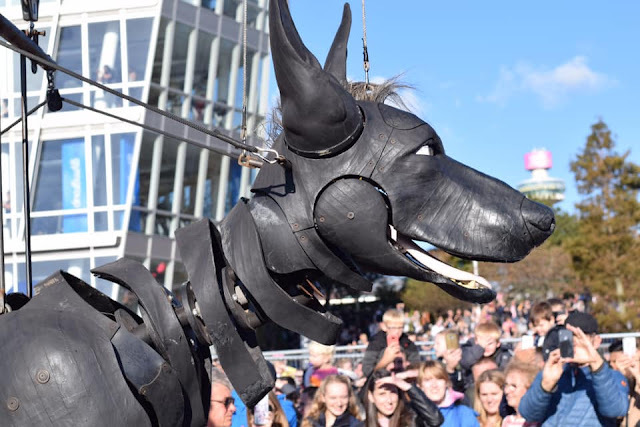 We found a great space just outside of M&S on Church street to watch The Little Boy Giant and Xolo the dog and waiting for them to parade past, while the Boy was incredible and watching the skill involved in bringing this 20 ft, 0.6 tonne puppet to life took my breath away, we were a touch disappointed that Xolo took a slight detour and missed out our stretch of the route. Elizabeth was really keen to meet the Mexican god-dog puppet, having watched some videos of him greeting children on the Wirral the day before, so we changed our planned route for the afternoon to wait instead on the Strand by the docks to watch him go past. 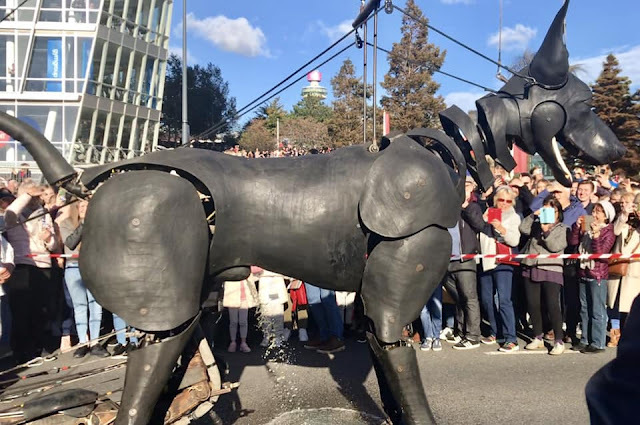 This meant that we only caught a glimse or two of the Man Giant himself but it was certainly the right decision as she was overjoyed when we got to see Xolo close up and he even paused to cheekily relieve himself on the street right in front of us! We had a fantastic day in Liverpool and the sun even came out to celebrate Liverpool's Dream with us which was a nice surprise! 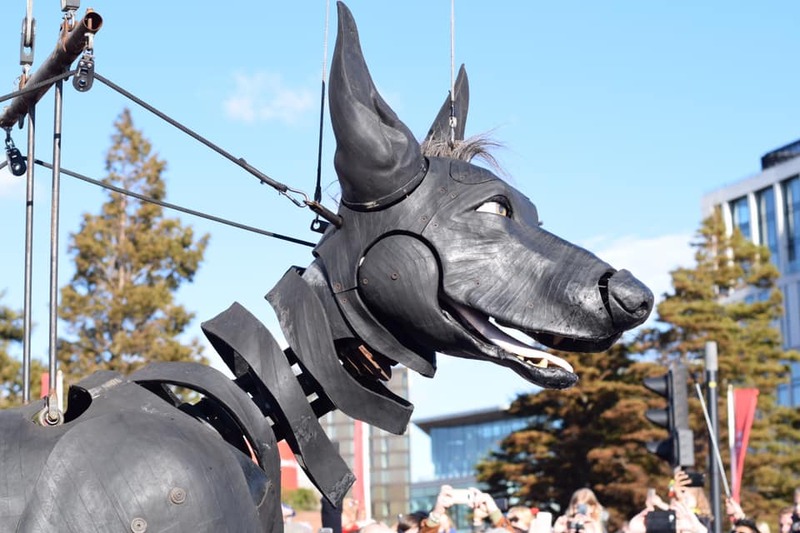 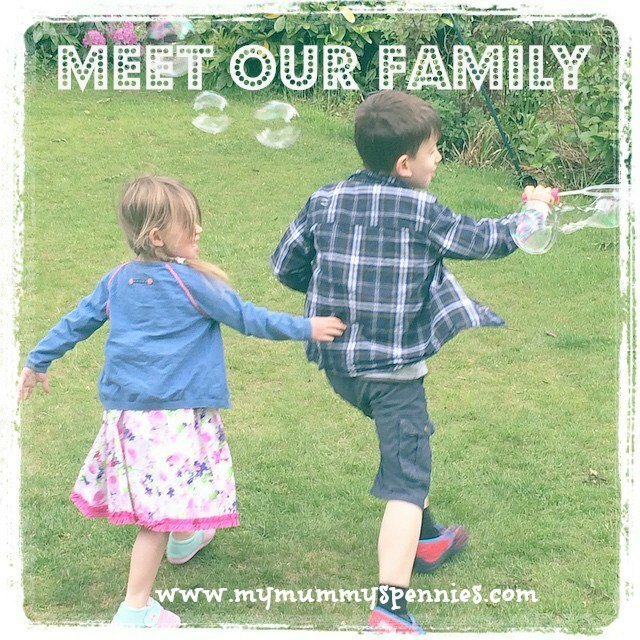 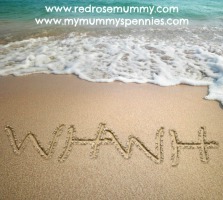 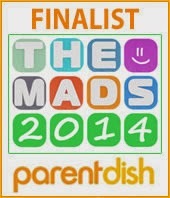 I hope you've enjoyed our pictures and you can find more images and information on the Giant Spectacular website.